This is a followup to Making QGIS toolbox tool available directly from toolbar? which I posted several days ago. That question was more of a "how". This one is more of a "why". 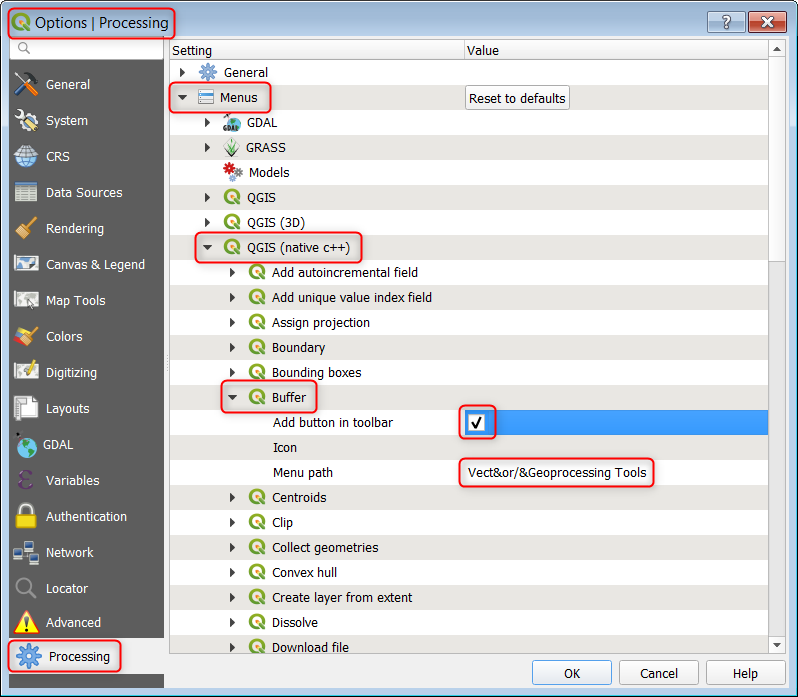 Why are some QGIS tools only accessible via the Processing Toolbox, and not available directly via the normal menu? For example, at 2.18.16 I constantly use the Frequency Analysis tool. But every time I use that tool I am required to click Processing > Toolbox > QGIS geoalgorithms > Vector table tools > Frequency Analysis. Whew! It would be a lot easier if that tool was directly available on the main menu rather than hidden deep within the Processing Toolbox menu structure. I'm not talking about plugins, but the tools that come with a default QGIS install. Not the answer you're looking for? Browse other questions tagged qgis toolbar toolbox or ask your own question. Getting tabular statistics from table using QGIS? LAStools menu seems to be incomplete in QGIS?